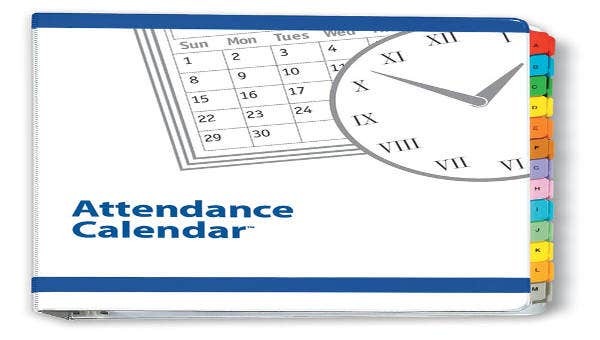 A concise and well-organized attendance schedule helps people manage their time in a systematic manner. This is a great way to avoid having a cluttered attendance schedule. One of the most comprehensive ways for people to manage their attendance is by utilizing a calendar. In template.net, we want to you to have an organized way of tracking your attendance through our attendance calendar templates. These templates come either in Word or PDF document for an easier edit and download. You can make use of these as a reference or you can download them directly. Check out more of our samples below. A calendar is not just a mere list of dates, events, and attendances. It also shows and tells a narration of you or your community. It provides details for interested people and helps them track important events in their lives. 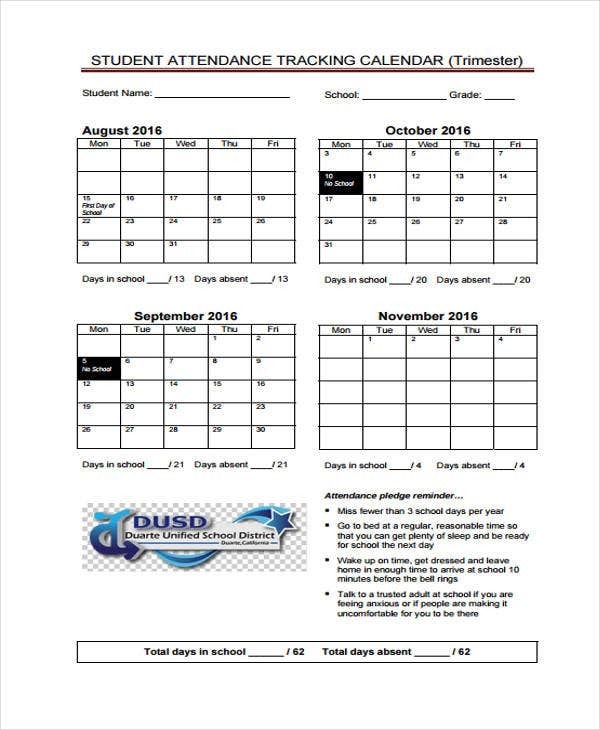 A calendar is essential, especially in tracking out attendance schedules. For instance, School Calendar Templates can help you organized the school’s weekly or monthly activities. All you have to do is fill in the Blank Calendar Template. Regardless of who you are and what you do, you may avail of their different uses and enjoy its benefits. When crafting your own attendance calendar, it pays to have a template-based format that you can make use of. In this way, it will be more convenient for you and easier to keep your attendance schedule well-organized. 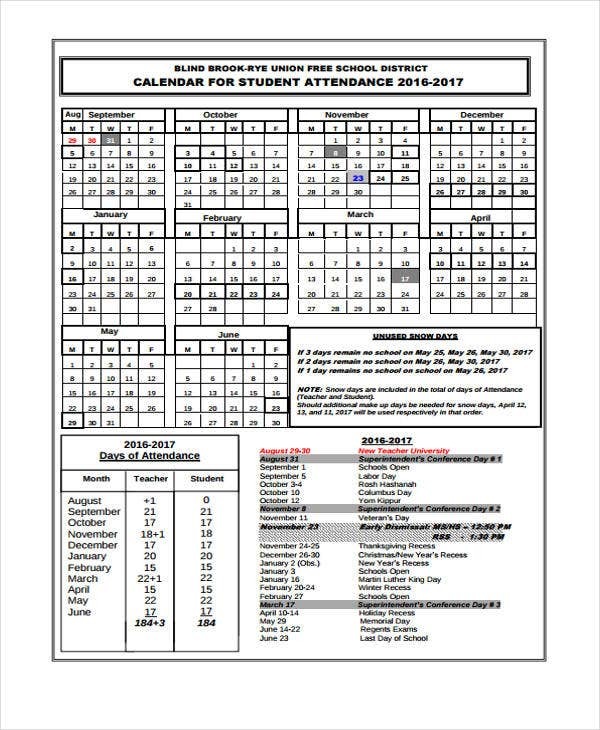 Here are some attendance calendar templates that might be useful for you. 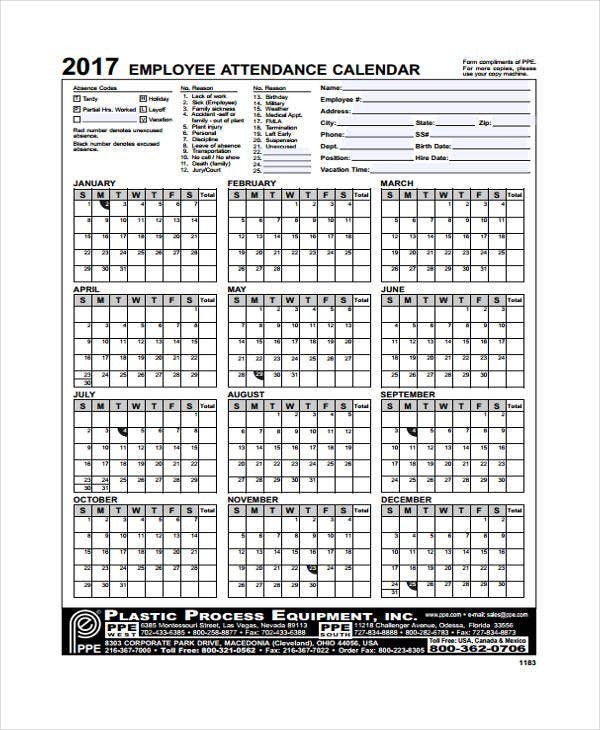 Employee Attendance Calendar Template – This is ideal for employees and employers respectively. By using this, an employer can monitor its employees’ daily attendance. On the other hand, employees’ can keep track of their attendance as well. 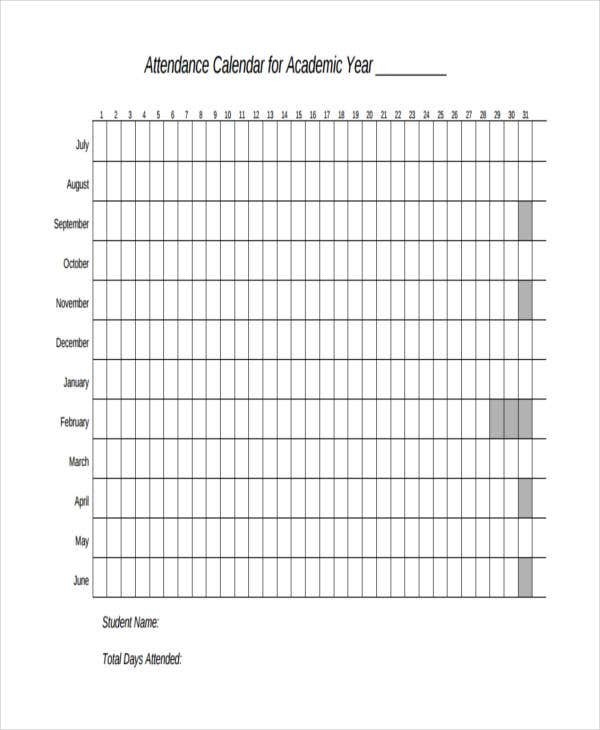 Free Student Attendance Template – This is great for teachers to monitor their student’s daily attendance. 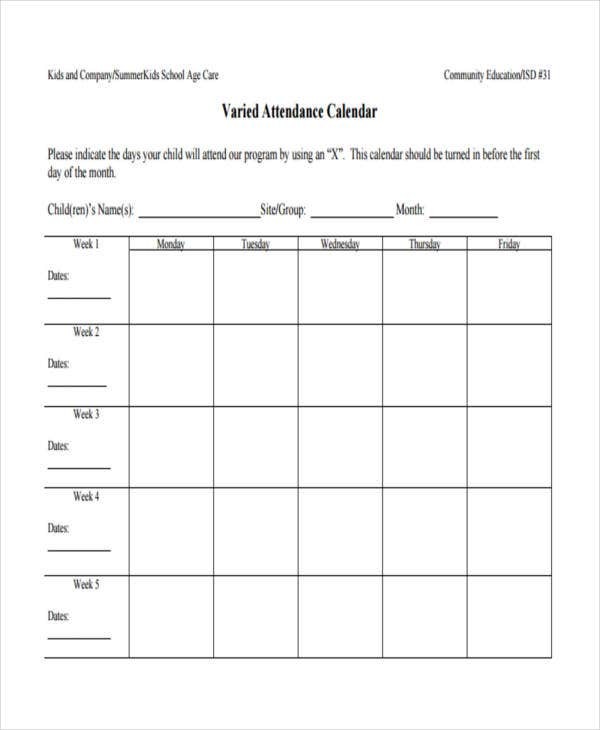 Printable Attendance Template – You can make use of this if you want a printable format. How to Make an Attendance Calendar in MS Excel? 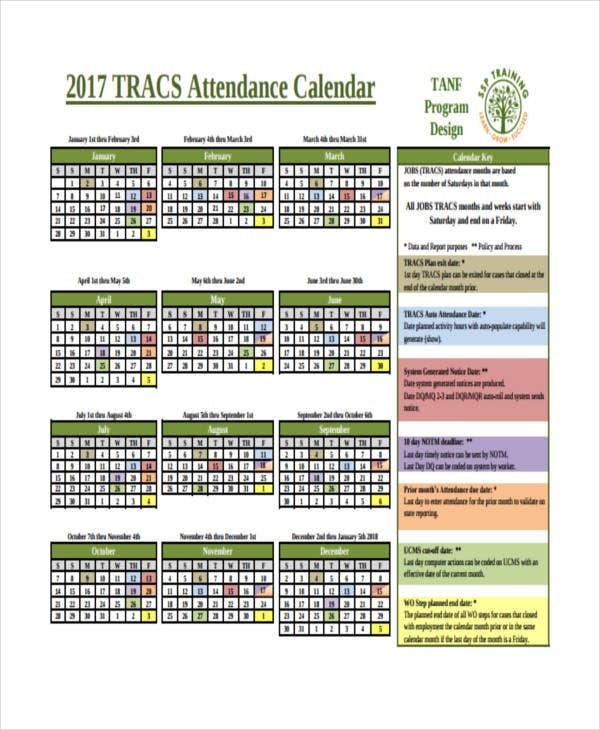 When it comes to tracking an individual’s attendance, vacation times, and hours worked, an attendance calendar is highly recommended. Microsoft Excel offers an easy and user-friendly way to do that without spending additional money. If you prefer making your attendance calendar the MS Excel style, these are the steps on how to do it. You need to click the “File” drop-down menu in Excel. Scroll down and click “Schedules” in the left section and select “Business schedules” in the right pane. There will be a new window that will open with calendar template options. Click the one you think suits best. If you want to track vacation times, you can click the right employee absence schedule. Once you are done choosing the appropriate calendar, click the “Download” button to download the template to Excel. But if you still prefer a well-made templates over creating a new one, there are also Printable Calendar Templates that you may use. 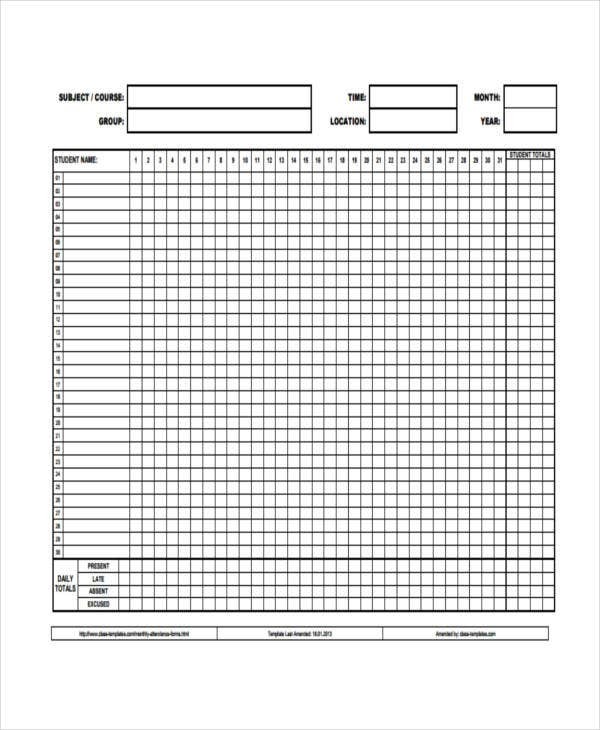 You may modify the employee or student names and time frames as needed and save the template before you will fill in the attendance or schedule details. That way, you’ll have a base template that you can use for future schedules. Excel Calendar Schedule Template – 15+ Free Word, Excel, PDF Format Download!